Paperback, 6 x 8.25 in. / 352 pgs / 300 color. Flexible working hours, cheap flights to every far-flung corner of the planet, millions of downloadable films, television programs and songs at our disposal: we have become a society of leisure devotees and connoisseurs of pleasure. But who is paying attention to the civic and ecological effects of leisure as we slowly become addicted to its consumption? 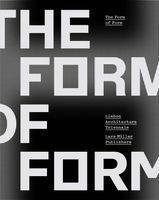 In The Death of Leisure, The Why Factory reveals the footprint our leisure activities have left behind on our cities, architecture and landscapes, and aims to elevate these conversations within architecture and urban planning to a higher tier of socio-cultural debate. 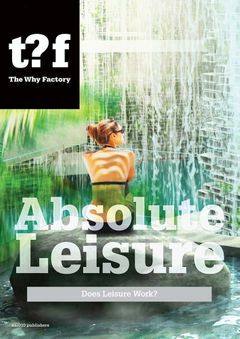 The Death of Leisure includes articles by Felix Madrazo, Alexander Sverdlov and Winy Maas, Chair of Architecture and Urban Design at Delft University of Technology and leader of The Why Factory. FORMAT: Pbk, 6 x 8.25 in. / 352 pgs / 300 color.